As the only independent farm distillery on Islay, we are proud to have all stages of the whisky-making process taking place right here at Kilchoman. Book one of our whisky distillery tours to come and see for yourself! 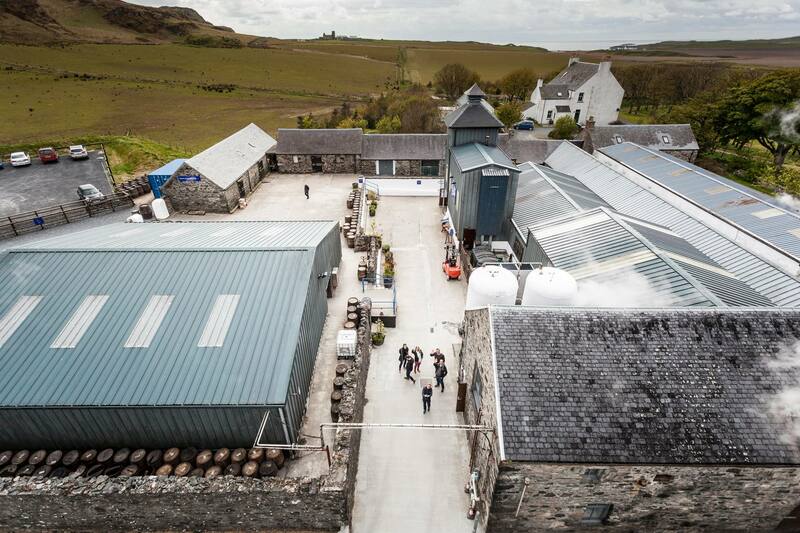 Witness the full whisky experience from barley growing in the neighbouring fields, the inner-workings of the distillery, to our on-site bottling line. Please contact the distillery on +44 (0) 1496 850011 before booking if under 18’s wish to join tour as we have limited complimentary spaces available. Our distillery is 5 miles off the main road. It’s a beautiful drive down a single track road until you get to us at Kilchoman. Please drive carefully and use the passing places when available. We also provide ‘driving drams’ for those drivers in the group who can take them away to enjoy later. The Visitor Centre and cafe are open from 9.45am – 5pm. We look forward to welcoming you to our visitor centre, shop and cafe where you can learn all about exactly how our unique spirit is made. Take what we believe to be the very best distillery tour on Islay and see for yourself what we get up to at Kilchoman. There are a variety of whiskies for you to taste and one of the team will be ready to guide you through our range of single malts. Make sure you keep an eye out for our Distillery Exclusive releases which are only available on site from the distillery shop. The main attraction in the shop is, of course, the range of whiskies available (including the distillery exclusive). But don’t forget to browse through a few of the Kilchoman branded goods and gifts, from t-shirts and bags to hip flasks and pipettes. We are also proud to team up with the local Islay Woolen Mill and Indigo Ivy to create a fine selection of Kilchoman tweed. Have a look through our online shop to see a few of the items on offer. 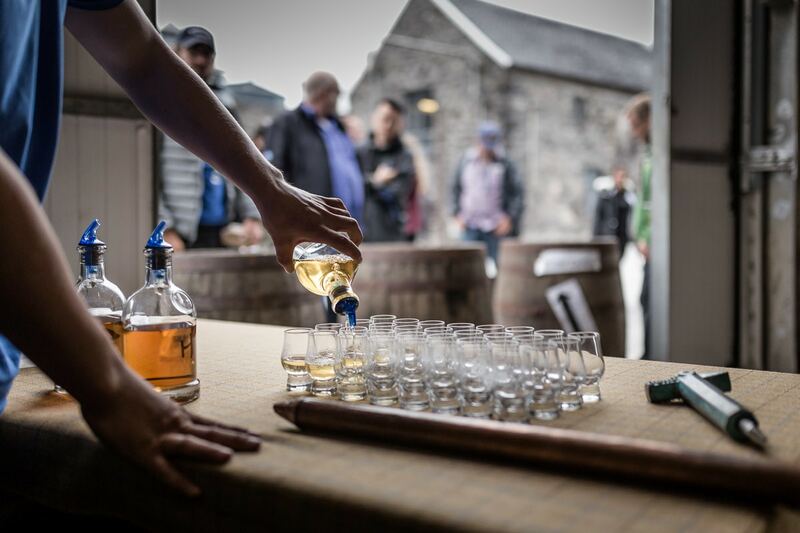 Islay whisky tours may be fun, but even on Islay, you can’t be drinking whisky all day long! so come down to the café and enjoy some of the delicious cakes, soups, paninis and of course our famous Cullen Skink. We serve a full range of Barista-style coffees and are always happy to try something a little different – how about a drop of Kilchoman in your Latté or caramel in your Espresso Macchiato?